Came across Choco the Cat getting into the Halloween spirit. All her doing , not posed. 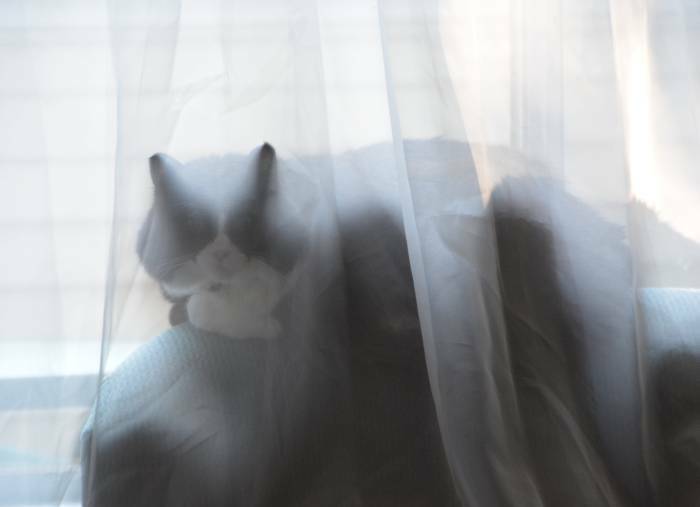 She’s always been an amazing cat with curtains and blinds. I’ve had cats who’ve shredded them, but from day one, Choco has delicately woven her way in and out with nary a snag. Planting in the Rain, Yay!